Plant-based company Oatly is launching three new vegan oat milks in Skinny, Semi and Whole varieties. According to the brand, unlike cow's milk, these new vegan drinks are 'for humans'. The will launch in Waitrose, Asda, Ocado, Tesco and Sainsbury's from October 8, with an RRP of £1.80. 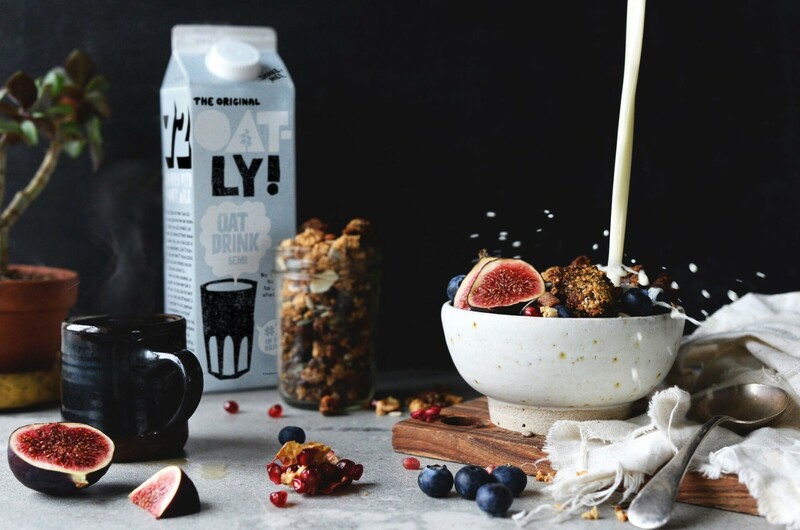 "Oatly's new chilled range: the classic Skinny, Semi and Whole now offers oat milk converts the whole (unsaturated) fat spectrum," a spokesperson said in a statement sent to Plant Based News. "So if you’re looking for a drop of Skinny for your tea, a bowl of Semi for your cereal or, if you're going to go wild and splash out on a jug full of Whole for your home-baked muffins, Oatly has sorted you out with a dairy-free, soy-free and vegan-friendly milk alternative. "The extra good news is, they all really taste great. Nestled within the chilled aisle, as you’d expect, the range will be available in all major supermarkets this October."